Six-year-old mare Kopite has a distinct way of letting her connections know during a race she is on her way to victory. “It’s quite strange but whenever she has won a race, she tends to turn her head to the left, pretty much from the start,” said her trainer, Adam Duggan. Kopite will next step out in the $22,000 Clipsal Allan Bakewell Memorial Krambach Sprint (1250m) at Taree on Friday. The mare was up to her old tricks last start when she raced with her head turned sidewards but defied all challengers to score in the Showcase Sprint (1200m) at Port Macquarie on Cup day. It was an impressive win as Kopite was no closer than three horses off the fence for the duration of the event. “She likes to race with a bit of air so sitting three-deep without cover doesn’t bother her, in fact, she likes to race that way,” Duggan explained. 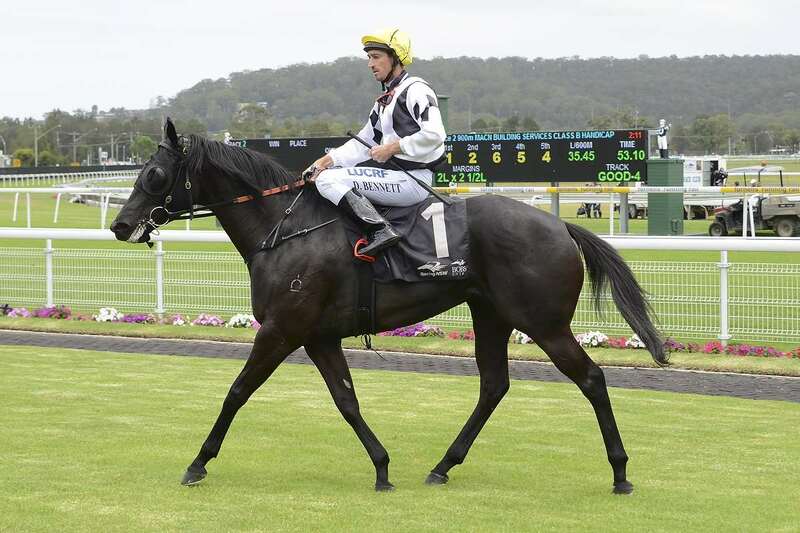 At her previous start, Kopite had finished 12th to Invictum Domina at Warwick Farm (1200m) on September 19. “She went a bit fierce that day and by the time she had settled down, the field then sped up so under 61.5kg, it was a good run under the circumstances. “She was having her second run from a spell that day and an interesting statistic is she always seems to perform below average at her first and second runs from a break. “She doesn’t seem to get warm at her first couple of runs back then clicks into gear from her third run onwards. Josh Adams won aboard Kopite at Port Macquarie and has again been booked by Duggan. The mare now has the record of eight wins and 10 placings from 39 starts for $175,000 in prizemoney. Friday’s feature race is the $32,000 Bakewell Haulage Krambach Cup (1600m).